OptiExim digitally enables and facilitate compliance of the export and import process of the organization with real time notification and analytics for business decisions. The solution is an SAP Bolt-On that seamlessly integrates Exports Sales data and Imports Purchase data for all the requisite documentation. IVL has more than two decades of experience in designing SAP Bolt-On solutions in Exports & Imports (viz., OptiSuite), now introduces digital OptiExim solution. It handles the scenarios based on current Foreign Trade Policy / regulations. The solution architecture uses native SAP transactions, SAP Enterprise portal, SAPUI5/Fiori applications and integration-readiness with external agencies. The solution developed in IVL’s registered namespace and can therefore be installed and configured without any adverse impact on SAP and other custom-objects in the client’s SAP landscape. There is no need of additional sever or hardware for installation. It can be installed in the same instance where SAP is live (on-premise/cloud as the case may be). Specific OptiExim enhancements, if any needed, would be safeguarded from future support packs/upgrade of OptiExim. 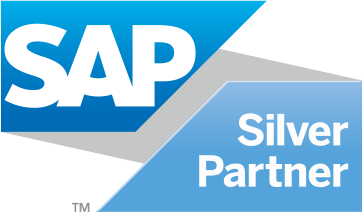 Integration with external agencies by email automation, file generation to upload in IceGate, application access over SAP Enterprise Portal for CHA. Actual receipt of amount against each Shipping Bill.